The efficacy of cerclage to treat cervical incompetence had been a subject of controversy. The majority of studies fail to address the importance of the location of cerclage placement for pregnancy outcomes. The goal of the study is to report clinical outcomes of cervical cerclages in patients with various locations of the stitch placement. Sixty-seven consecutive images of the cervix performed within two weeks of cerclage placements were extracted from sonographic database collected between January 2012 and October 2015. McDonald technique of cervical cerclage was used in all cases. The location of cerclage was divided into three categories: within the vicinity of the internal os (group I), in the middle portion of the cervix (group II), and in the vicinity of the external os or lower third of the cervix (group III). Gestational age at delivery was analyzed in all three groups. The cerclage placement site was identified by echogenic appearances of the stitch on sagittal and transverse images of the cervix. Statistical evaluation was made using SPSS for Windows V 15.0 (SPSS Inc., USA). Data were shown as frequency (percentage) or mean ± standard deviation. In 26 patients the cerclage stitch was identified in the close vicinity of the internal os in the upper third of the cervix. These cerclages were placed between 11 and 13 weeks in 21 patients, between 14 and 16 in the remaining five. In 29 patients, cervical cerclage was detected in the middle portion of the cervix. In 23 of those cerclages were placed between 10 and 13 weeks, and between 14 and 17 in the remaining six. One patient had preterm premature rupture of membranes followed by cerclage removal and delivery at 27 weeks of pregnancy. The third group consisted of 12 patients in whom cervical cerclages were detected in the lower third of the cervix in the vicinity of external os. Date on the timing of delivery in all studied groups is reflected in table 1. Timing of delivery *(mean ± SD) in patients with cerclage placed in different parts of the cervix. *Patients who miscarried prior to 24 weeks of gestation were excluded. It appears that location of the cerclage placement plays an important role in prolongation of pregnancies and should be taken into consideration in future studies. II. Can Weekly Antepartum Testing Decrease Still-Birth Rate? Stillbirth rates in the USA plateaued between 2006 and 2012 at 6.05 per 1.000 deliveries, totaling 50.045 stillbirth and 8,268.41 live births. Although there are no clearly identifiable risk factors for stillbirth, advanced maternal age puts fetuses at risk. Frequent antepartum testing was shown to decrease stillbirth rate from 5.2/1000 to 3.9/1000 in the advanced maternal age group. The purpose of the study is to assess if weekly antepartum testing after 36 weeks of pregnancy can decrease stillbirth in all age groups. Our antepartum testing model (full biophysical profile weekly at 36 weeks on) started with a cohort of 6600 women. Patients who experienced stillbirth prior to the onset of testing were excluded. Biweekly testing was used in high-risk patients using standard indications. A positive test served as an indication for delivery. Women with a negative test remained undelivered until the subsequent positive test or onset of labor. Control group consisted of 4420 patients in whom antepartum testing was performed using indications accepted by ACOG. All statistical computations were performed using DATA 4.0; Trec Age software, Williamstown, MA). Without a strategy of weekly antepartum fetal surveillance between 36 and 41 weeks, women of all age groups experienced 3.04 stillbirths per 1000 pregnancies. For women undergoing weekly testing, the stillbirth rate was 1.24 per 1000. Thus, a strategy of weekly antepartum testing starting at 36 weeks of pregnancy in women of all age groups reduced the number of stillbirths by 58%. Patients should be aware that in spite of the additional cost of testing and its effect on induction and operative delivery rates, weekly fetal assessment decreases stillbirth rate in all age groups by more than half. III. Can Cervical Length Monitoring And Treatment Affect Prematurity Rate? Premature labor can impact the baby's health, including increasing the risk of brain and other neurological complications, breathing problems, and digestive problems. Some babies born prematurely may also have developmental delays or learning disabilities. The risk and severity of health problems is directly related to how early a baby is born. While many babies do well after receiving care from a neonatal intensive care unit, their prematurity does increase health and developmental risks. 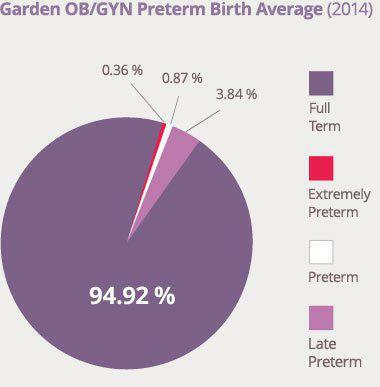 At Garden OB/GYN, we, therefore, work diligently to incorporate consistent monitoring efforts into each of our patients’ pregnancy appointments so to help reduce the chances of premature births. We believe that the key to a favorable pregnancy outcome is routine monitoring for fetal and maternal well being. 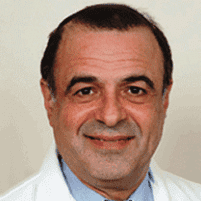 We have therefore created guidelines which create favorable patient and child outcomes. 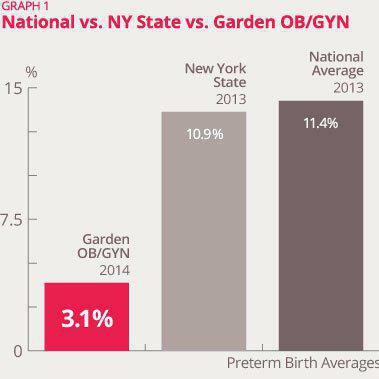 Thanks to these routine monitoring efforts, our premature birth rate is lower than the national average. Through such routine monitoring, using frequent sonograms, routine Doppler studies, and other techniques, we can detect changes in pregnancy and potential problems early on in the pregnancy, allowing the issue to be easier to treat and manage. For example, the use of Doppler sonograms, which detects movement in blood vessels using sound waves, reassure us and the mother that the baby is well. In instances where the Dopplers are abnormal, we opt to further investigate and likely deliver the baby as soon as possible so that it does not result in a stillborn. Our compassion and consistent monitoring of each patient’s pregnancy helps promote the well-being of both the patient and their developing baby. Our research-based expertise, utilization of top pregnancy monitoring techniques and dedicated, caring obstetrical team provide the medical and emotional support needed during your pregnancy. To schedule an obstetric appointment, call one of the nine offices located throughout the greater New York City area or use the online booking feature.